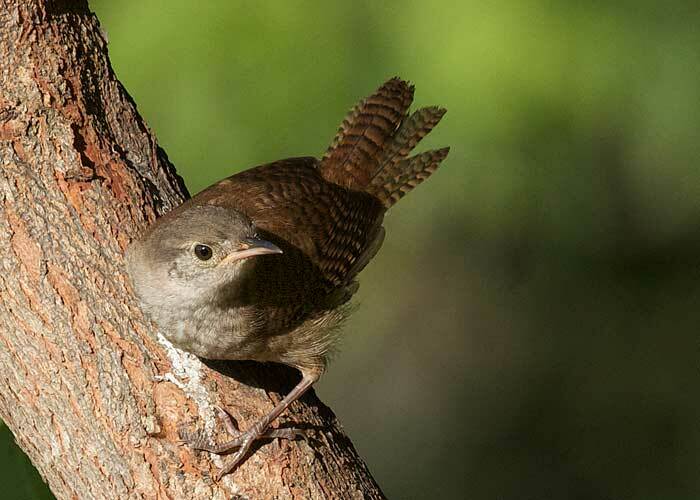 A tiny house wren comes out from behind a redbud leaf for half a second. I think it wants a closer look at me as I sit quietly in the shade of my house. It takes its look and snicks back into the foliage. Curiosity, that's my theory.